3 Bedroom Terraced House For Sale in Sale for Guide Price £375,000. GUIDE PRICE 375,000 - 400,000A MUST VIEW property! 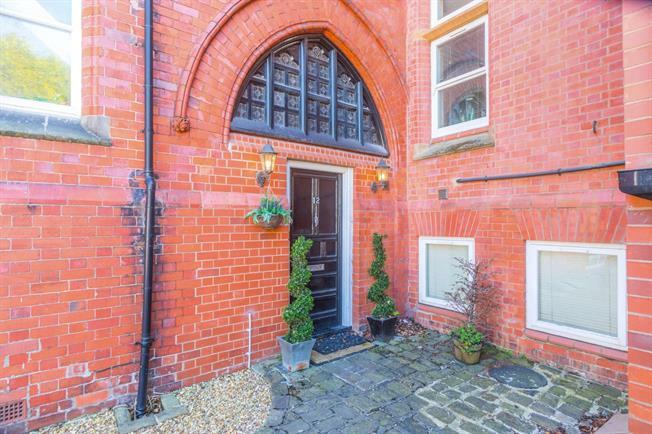 This three double bedroom character property is part of the stunning Boothroyd building. This opportunity to purchase such a quirky home rarely arises. The property briefly comprises; lounge/dining/study space, kitchen and WC to the ground floor. To the first floor is the master bedroom with stunning feature window, en suite and family bathroom. The second floor has a further two good sized double bedrooms making it perfect for family's. Externally the property has a rear garden with hot tub and a garage. A beautiful open space with double glazed wood window facing the rear overlooking the garden, radiator, carpeted flooring and useful under stair storage. The room is lit by spotlights. A light kitchen with double glazed wood window facing the rear overlooking the garden. There is vinyl flooring, spotlights and built-in wall and base units. Integrated is a one and a half bowl sink with mixer tap. There is space for a range oven and there is an overhead extractor. The room has space for washing machine and a fridge freezer. Low level WC and pedestal sink. Carpeted flooring and ceiling lights. The master bedroom has to be seen to be fully appreciated. This room includes the beautiful feature window which is a single glazed wood window with patterned glass facing the front. The room has a radiator, carpeted flooring, and a ceiling light. There is access to the en suite. A good sized en suite with heated towel rail, low level WC, double enclosure shower, pedestal sink, and extractor fan. The family bathroom has a heated towel rail, tiled flooring, low level WC, panelled bath with mixer tap, shower over bath, pedestal sink with mixer tap and an extractor fan. A wonderfully sized bedroom on the second floor. There is a double glazed wood window facing the front, a radiator, carpeted flooring and a ceiling light. Another great sized room with high ceilings giving the room a lovely light and airy feel. There is a double glazed wood window facing the rear overlooking the garden, a radiator, carpeted flooring, ceiling light. Externally, the property is situated as part of Boothroyd so sits in stunning grounds. This property boasts it's own garden which the current owners use as space for outside dining and entertaining with a hot tub! The property also benefits from a garage.